A shiralee is a swag, a burden, a bloody millstone - and that's what four-year-old Buster is to her father, Macauley. He takes the child on the road with him to spite his wife, but months pass and still no word comes to ask for the little girl back. Strangers to each other at first, father and daughter drift aimlessly through the dusty towns of Australia, sleeping rough and relying on odd jobs for food and money. Buster's resilience and trust slowly erode Macauley's resentment, and when he's finally able to get rid of her, he realises he can't let his shiralee go. 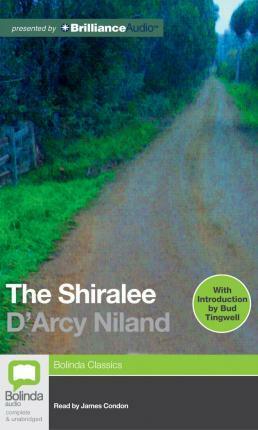 In evocative prose that vividly conjures images of rural Australia, The Shiralee reveal an understanding of the paradoxical nature of the burdens we carry, creates a moving portrait of fatherhood, told with gruff humour and a gentle pathos.